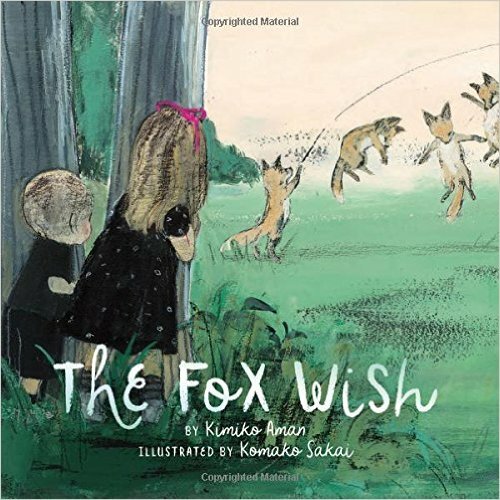 The Fox Wish by Kimiko Aman and illustrated by Komako Sakai was originally published in Japan in 2003. While the text feels a bit clunky at times, the story itself and the illustrations are absolutely charming and unforgettable. 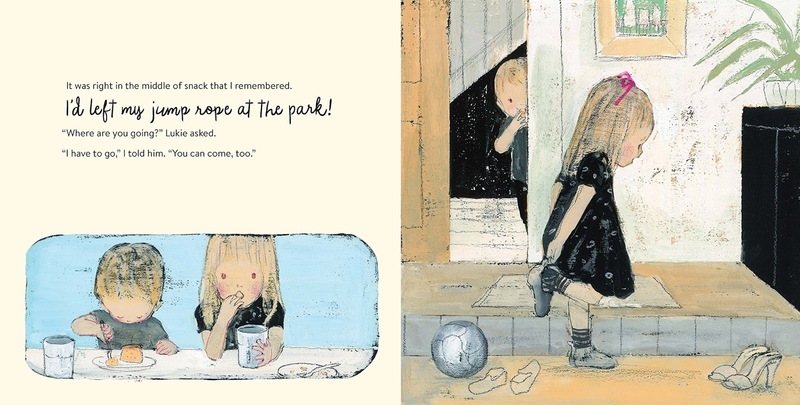 Roxie and her little brother Lukie return to the park where they were playing and where she left her personalized jump rope. 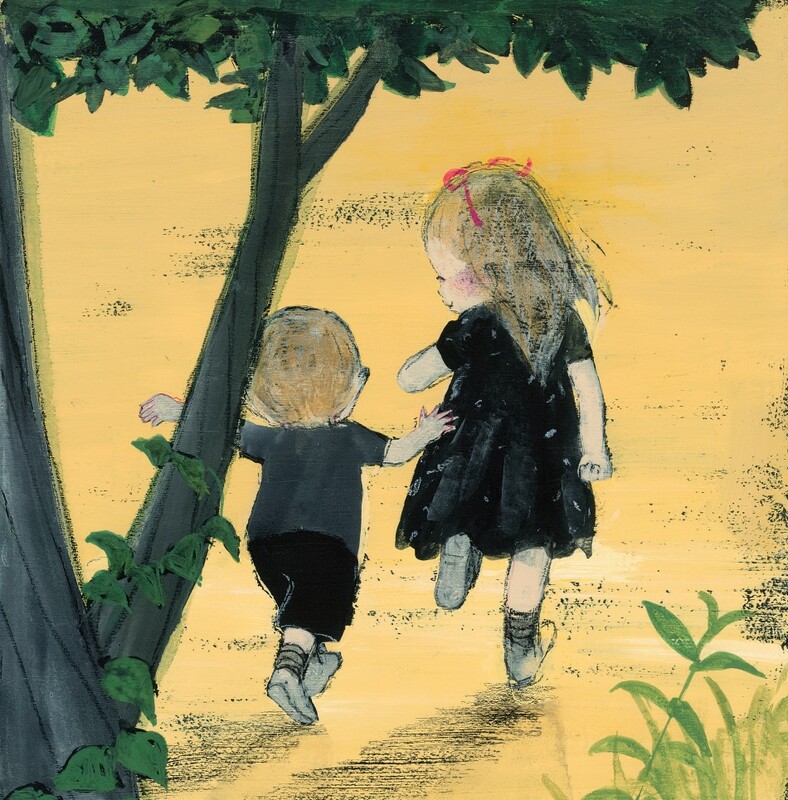 When they don't find it hanging from the branch where she left it, Roxie and Lukie follow the sounds of playing only to discover a troop of fox kits jumping rope and singing. 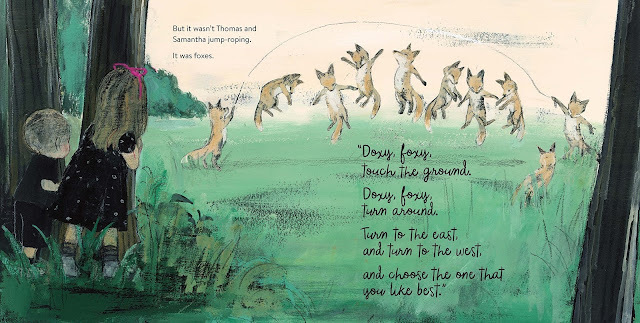 The siblings emerge from the bushes and introduce themselves to the foxes. Roxie gives the kits some tips for jumping rope (keep your tail straight up your back) while also noticing her name painted on the handle of the jump rope. Roxie is just about to claim her jump rope when the smallest fox bounds over, claiming it as her own. On the way to the park, the little fox, who is also named Roxie, wished for it and when the troop arrived at the park, "well, this rope was just hanging there, from a branch, with my name on it and everything, just a little wish come true! Have you ever heard of a luckier day? I should wish for a thousand wishes!" Roxie (the girl) in a moment of altruism shushes her brother an lets Roxie-fox keep the rope, promising to play together again some day. "I'll wish for it!" Roxie-fox says as she darts off, the jump rope in her teeth. 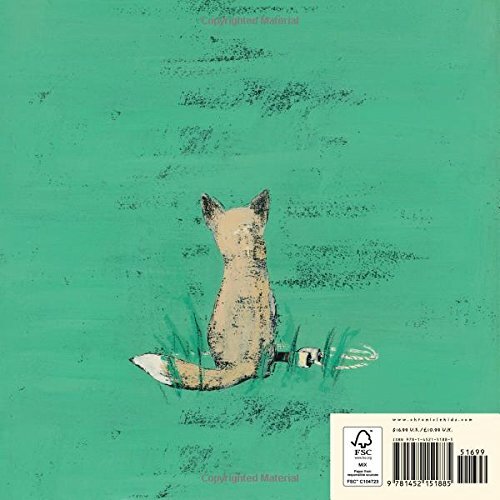 The fox is an important part of Japanese folklore and the significance of this is probably lost on most Americans. 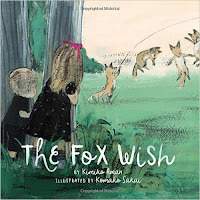 However, that didn't make The Fox Wish any less magical for me, especially thanks to Komako Sakai's illustrations. 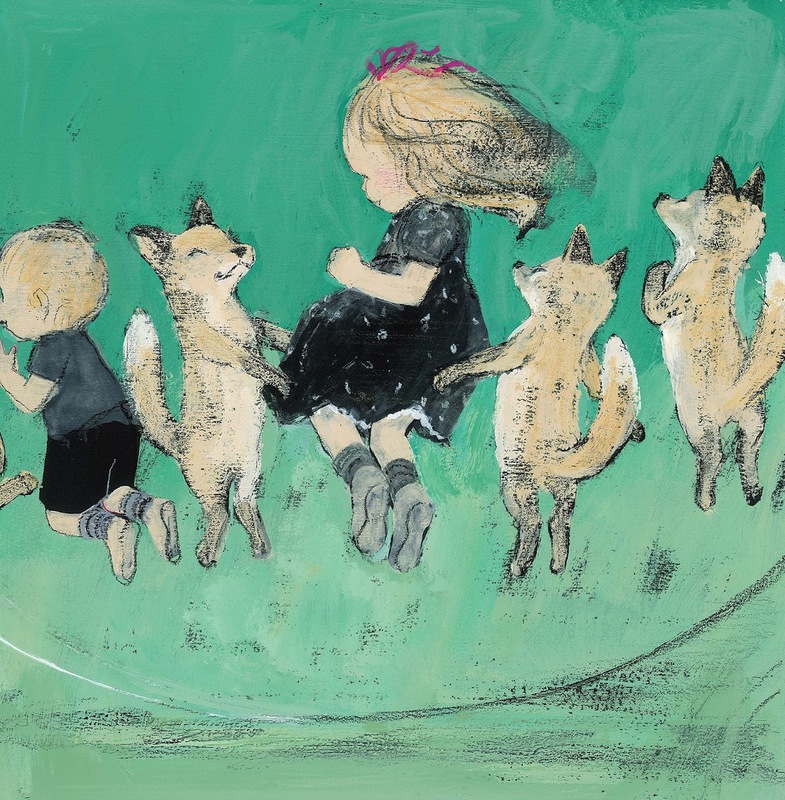 Her use of a limited palette dominated by peach and green tones with a pop of vivid magenta for Roxie's hair bow gives The Fox Wish an antique feel. Her endearing illustrations of the fox kits capture their essential intelligence, sprightliness and playfulness. 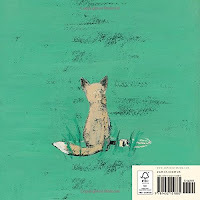 Reading The Fox Wish is a bit like a waking dream and surely a book you will not forget.